Can “Good Vibrations” Enhance Rehab and Sports Training? Nearly two decades ago, while studying ways to reverse bone loss associated with weightlessness, NASA scientists discovered something extraordinary: astronauts who stand on a lightly vibrating plate for just a few minutes a day did not experience bone loss. This discovery opened the door to an array of possibilities in vibration therapy and training, from reducing tension, rebuilding muscle tissue and increasing range of motion to fighting osteoporosis, improving circulation and reducing pain. Using VibePlate, we at SOL offer vibration therapy to achieve these and other therapeutic goals. Specialized tissues make up your skeletal muscles. These tissues change how they function in response to different kinds and rates of stimuli. Most physical therapy exercise is intended to improve muscle strength by increasing the gravitational load on muscles.Physical therapy vibration platforms, on the other hand, impose hypergravity activity within muscles by using higher accelerations (vibrations). Whole Body Vibration produces short, quick alterations in tendon-muscle complexes, which stimulates muscle spindles and nerve cells. In turn, your muscles have a reflex reaction as they try to dampen vibratory waves. If you’re pregnant, have acute thrombosis, have undergone recent arthroplasties or have bone tumors, you shouldn’t add Whole Body Vibration to your physical therapy routine. If you have decreased bone density, you may be taking bisphosphonates to treat osteoporosis. Unfortunately, bisphosphonates produce unwanted side effects such as esophageal irritation, gastrointestinal problems and even renal toxicity. Whole Body Vibration therapy may be the viable alternative you have been looking for. It can help you increase bone density without taking strong medications or struggling to do rigorous exercises.As with muscle cells, your bones and bone cells react to vibratory frequencies by being stimulated, or passively “exercised.” Vibration can delay stem cell growth, which means more stem cells develop into healthy bone cells instead of simply making more stem cells. Our therapist provides effective pain relief physical therapy treatment. We have our center in Oakland, CA. 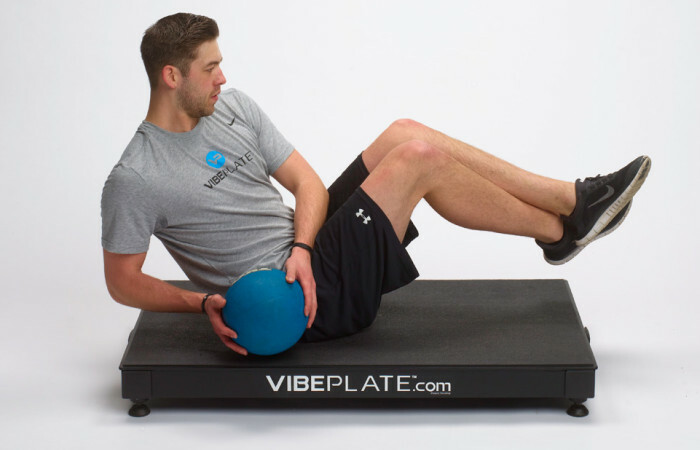 Book a VibePlate appointment today! Get yourself on the schedule. Start feeling the incredible effects of SOL’s Vibration Therapy program today.